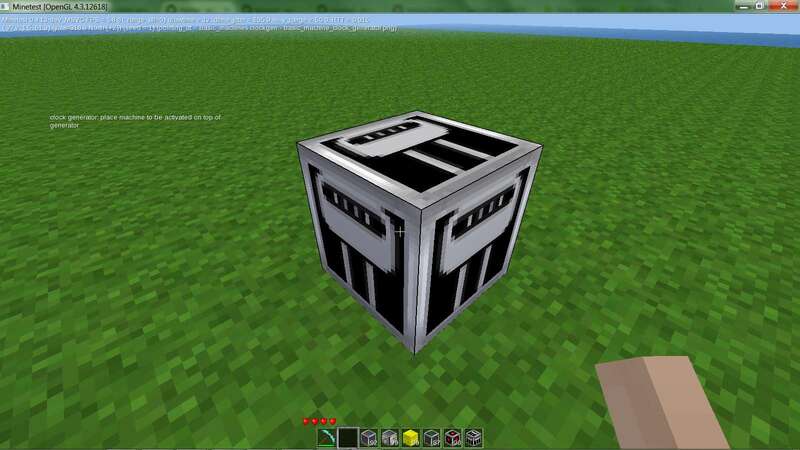 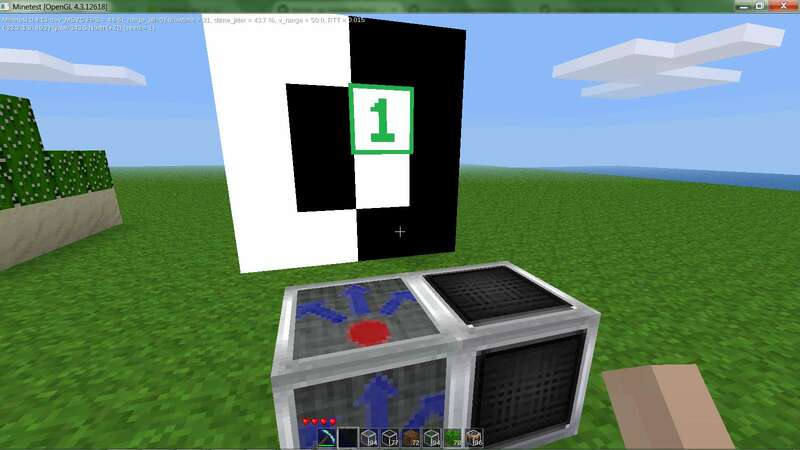 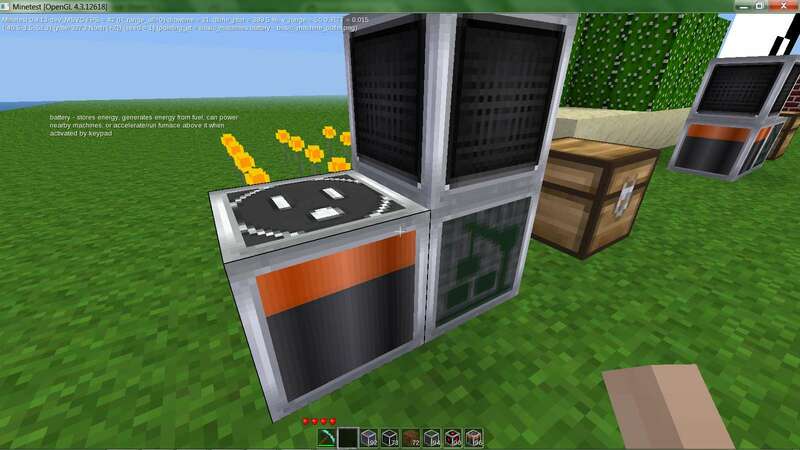 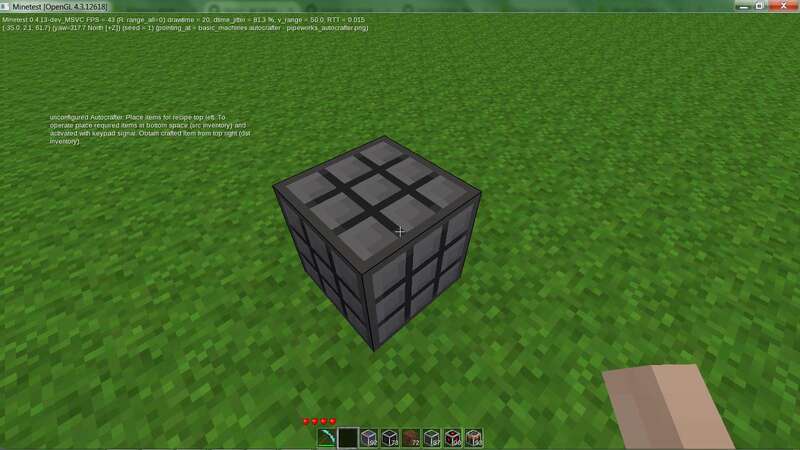 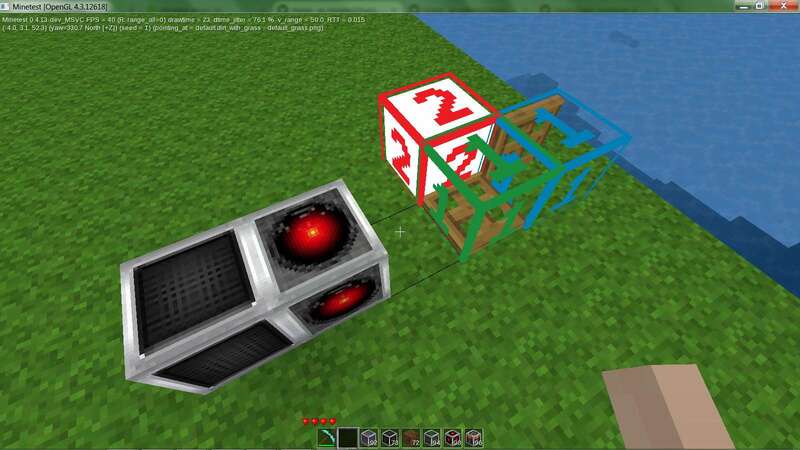 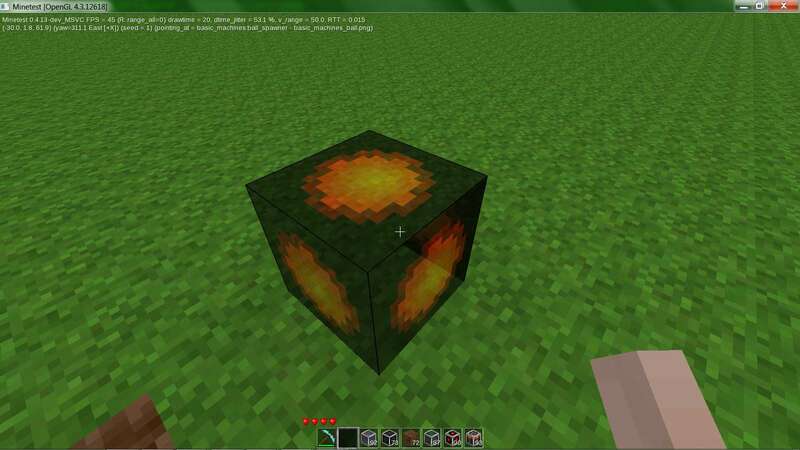 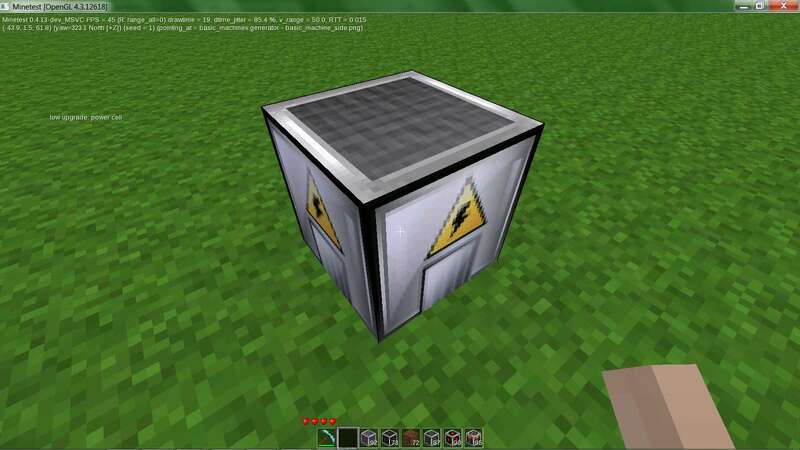 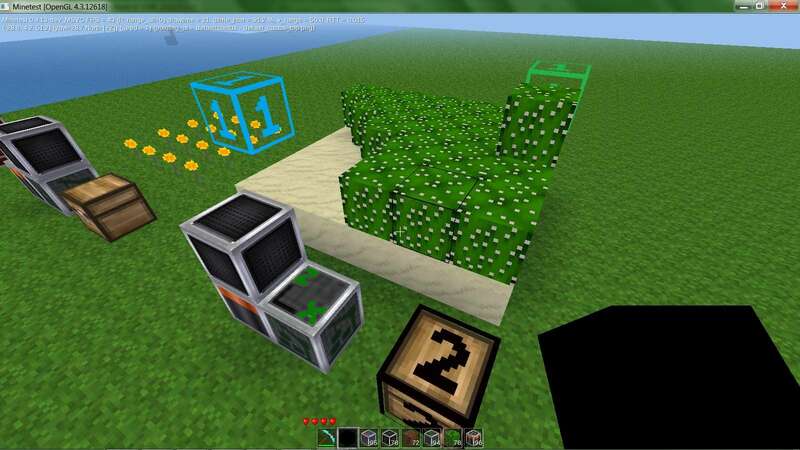 Basic_machines is a lightweight minetest automation/logic building mod without a lot of background processing. 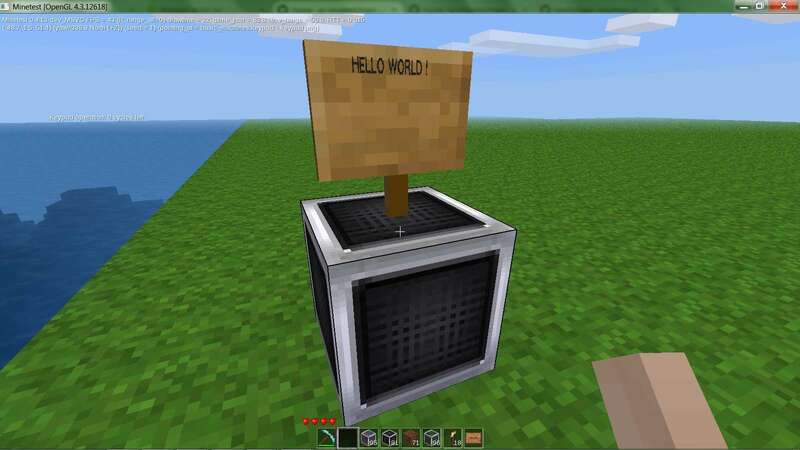 Depends only on default game (minetest 0.4.14 +). 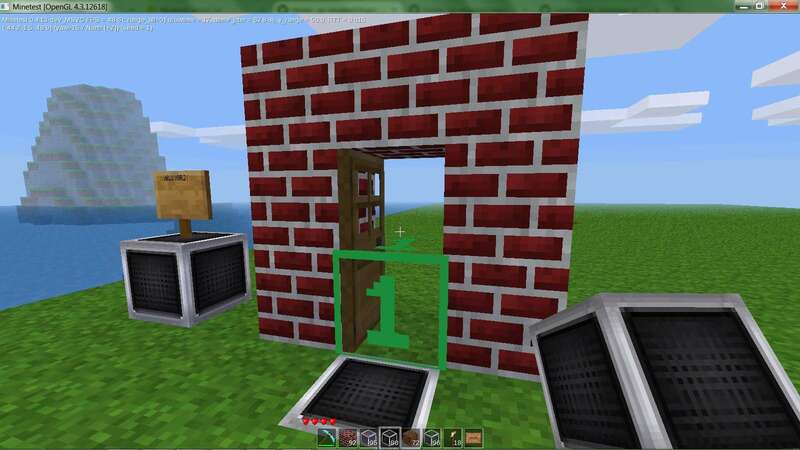 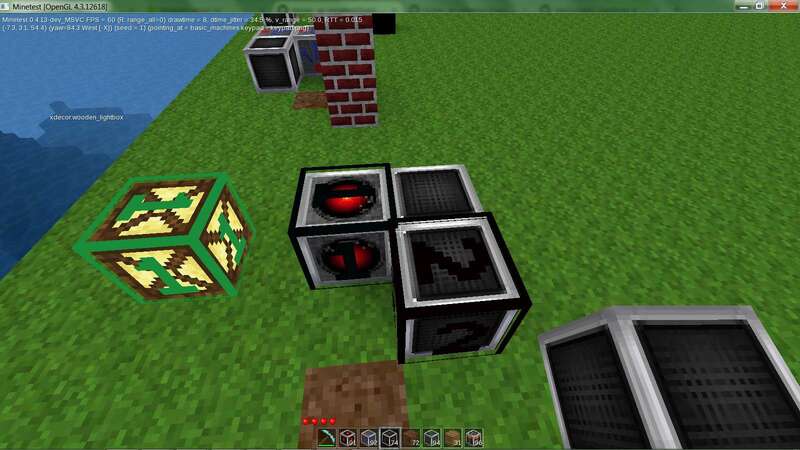 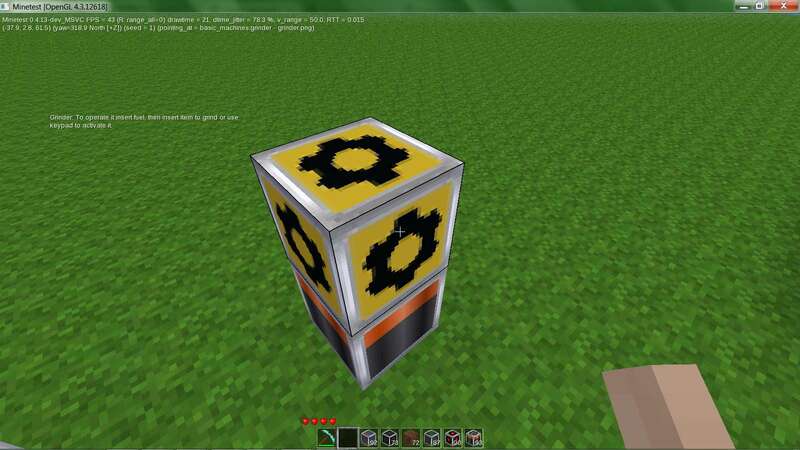 puncheable button that can activate machines (repeatedly too), can be used as keyboard, to change labels on blocks, chat to nearby players or change filters in other machines. 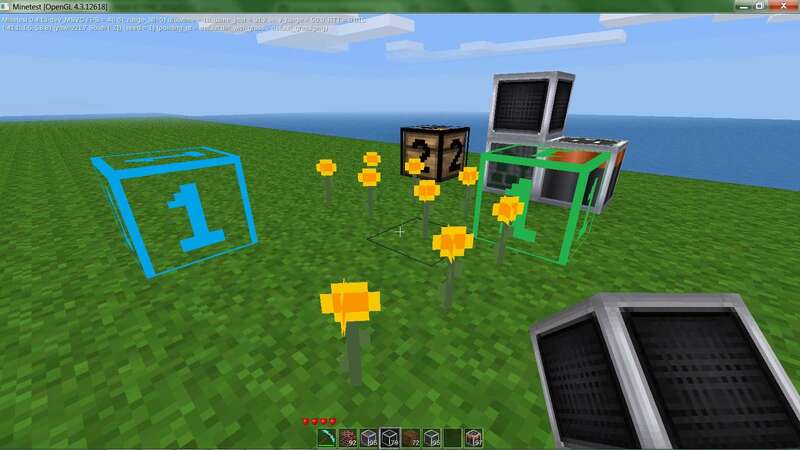 automation of harvesting/planting tasks with mover. 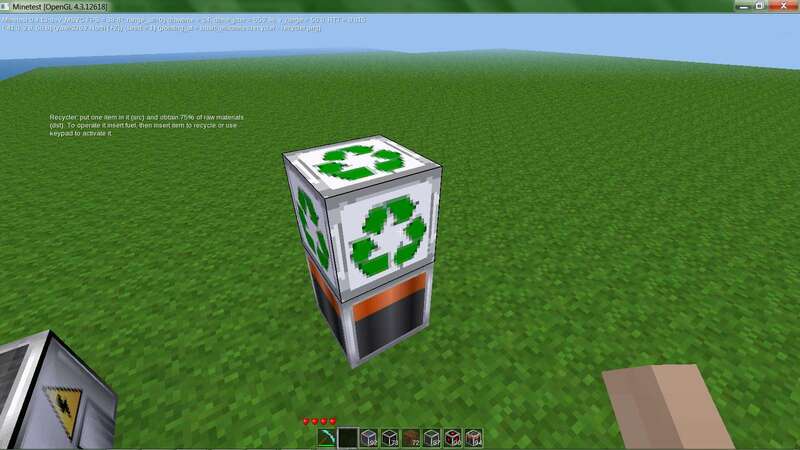 Harvest trees or plants, replant them... or just dig a hole. 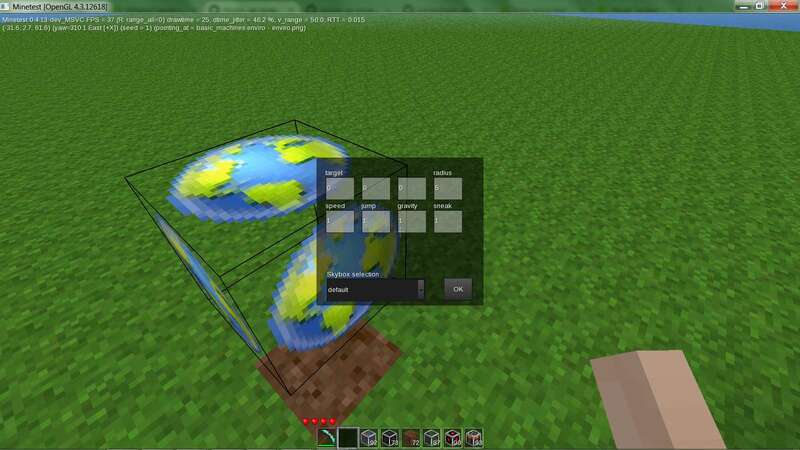 it can work over larger area, limited to radius 10. 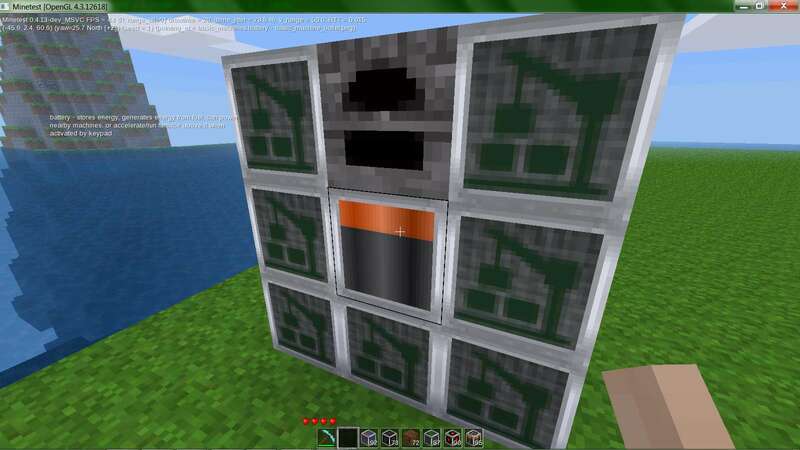 With upgrading radius increases up to 110. 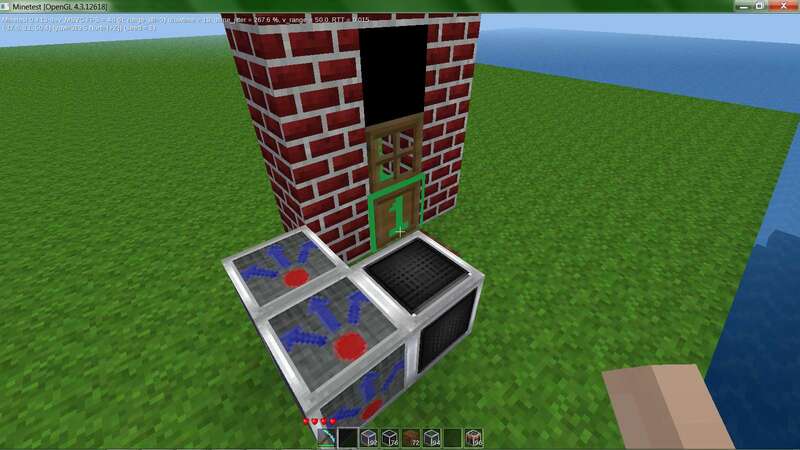 Here 2 distributors open door and turn on the light, then after delay the door closes and light turns off.